The civilizational choice of Ukraine: the paradigm of comprehension and the strategy of action. / National report. Цивілізаційний вибір України: парадигма осмислення і стратегія дії : національна доповідь / ред. кол. : С. І. Пирожков, О. М. Майборода, Ю. Ж. Шайгородський та ін. ; ІПіЕНД ім. І. Ф. Кураса НАН України. – К. : НАН України, 2016. – 284 с. The scientific work is devoted to actual problems of social and political development in the conditions of civilizational transformations. 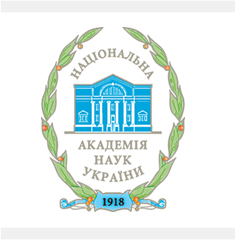 On the basis of modern theoretical concepts and analysis of political practices, the authors carried out the research into the prerequisites, the state and perspectives for the new stage in realization of civilization Ukraine’s development in the context of modern social and political changes, the risks and possible threats to the Ukrainian state and national identity are defined. The strategic directions for the project implementation of civilization development of Ukraine, its legislative and political-administrative support, reform of the social and cultural, educational and scientific spheres, the ways for activating the political participation of citizens are distinguished. The possible consequences of the implementation of the civilizational project by comparing the achievements and possible losses based on the results of the realization the strategy of civilizational changes, the possible global challenges to the civilizational development of Ukraine are defined.